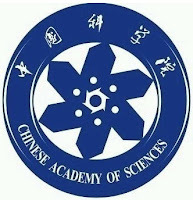 University of Chinese Academy of Sciences (UCAS) is offering scholarships for international. These scholarships are offered for those applicants who wish to pursue their Master’s and Doctoral and Research or Training study at University of Chinese Academy of Sciences (UCAS) in China. · Regular visiting student would be exempted from a tuition fee of RMB 2,600/month. · UCAS provides monthly stipend of RMB 2,500 for Doctoral students, senior visiting students and Doctoral students on joint programs, and RMB 2,000 for Master’s students and regular visiting students. · UCAS provides basic accommodation to awardees from institutes and schools located in Beijing. The insurance premium is RMB 800/year, with RMB 400 for half-year term, and it would be deducted from the first stipend of each academic year. · Master’s program applicants shall submit the original notarized photocopies of their Bachelor’s degree certificates. · Doctoral program applicants shall submit those of both their Master’s and Bachelor’s degree certificates. · A recommendation letter must be printed on an official headed paper, with the referee’s signature and date, and be sealed. · A photocopy of the bank receipt for the submission of application processing fee: RMB 600 or USD, EUR equivalent. · Please refer to http://english.ucas.ac.cn/Admissions for information about supervisors.